I present to you my latest custom project "Démons de Papier". For this series I invited 4 wonderful French artists to customize my Paper Demon toy. Each model also includes a unique backdrop to make a complete diorama. I have release my PUMA - States/Suede/Clyde. THE COME BACK SOON !!!! Several modeles are in preparation on this serie !!! There will be also calling for artists we want to customize toy. stand up art in da house! I Just received a package full of great papertoy templates from Adrienne of stand up art, and i want to share the excitement with u all! I know the project is already a classic, but to have the original print and not from downloading is so more appreciated! Thought of you guys when i found this transforming paper thing. Enjoy! Hope people still remember the character Lemi the Space Wanderer. :) it's been a long time i haven't post anything new about Lemi. I've been busy with day job and things, while also busy preparing the Lemi plushies that hopefully out by March. Damien Charles, where are you? Does anybody know where our Australian BoyWonder DMC hangs out lately? I was checking the links on my website and noticed he just... disappeared! It would be an enormous loss for all of us if he quitted papercrafting all the way! Well, I’ve always been fond of the Penguins from the Madagascar movie. That, plus I needed to come up with simple and small templates for my “PaperMon” game. So I decided to shoot two birds with one stone and create paper toys of the penguins using one of the templates that I plan to use for the game. Paolo the Whale had a very large tail. Alas, he could not swim. he braved the water and dived right in. Ok....Calling all, all, all, all cars! 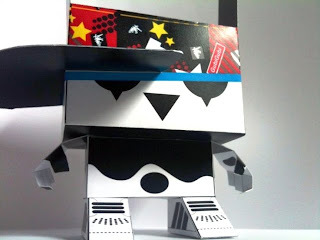 PaperMon! 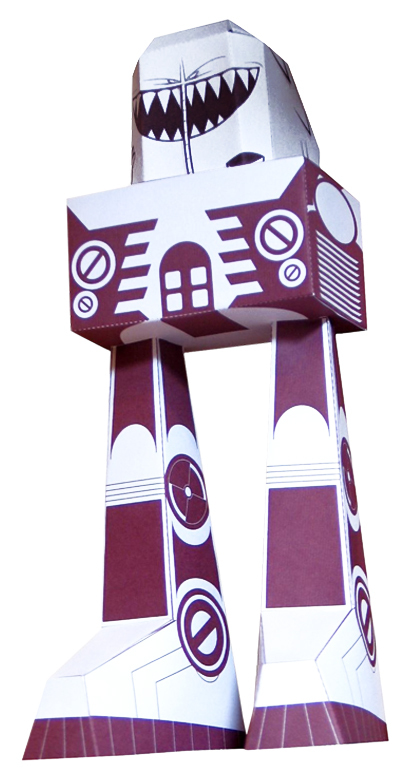 The collectible, tactical, expandable, customizable, paper toy board Game! Gotta make ‘em all! of blank templates for the units. I even have a logo. I think I prefer the one with the “o” that has a white gradient. The train is about 2 feet long.